Get EOBI Jobs 2017 Employees Old Age Benefits Institution Form Download nts.org.pk from this page. Employees’ Old-Age Benefits Institution (EOBI) working under Ministry of Overseas Pakistanis & Human Resource Development, Government of Pakistan and applications are invited from the candidates possessing qualifications, experience, age and domicile as mentioned against each post such as (Secretary Board of Trustees, Director (Finance, Accounts & Audit Cadre), Director (Law Cadre), Director (IT Cadre), Director (Investment Cadre), Dy. Director (Finance, Accounts & Audit Cadre), Dy. Director (Law Cadre), Dy. Director (IT Cadre), Dy. Director (Investment Cadre) (Equity Research), Dy. Director (Investment Cadre) (Equity Trading & Investment), Dy. Director (Investment Cadre) (Fixed Income), Dy. Director (Investment Cadre) (Asset Valuation and Real Estate), Assistant Director (Operations Cadre), Assistant Director (Office Cadre), Assistant Director (Law Cadre), Assistant Director (Finance, Accounts & Audit Cadre), Assistant Director (IT Cadre), Executive Officer (Operations Cadre), Private Secretary, Personal Assistant, KATS Operator, Assistant, Naib Qasid and Dispatch Rider). EOBI stands for Employees Old-Age Benefits Institution which is the pension, old age benefits and Social Insurance Institution of the Government of Pakistan. It operates under the control of Ministry of Overseas Pakistanis and Human Resource Development. EOBI announces jobs once in a year, for the educated and skilled Pakistani Nationals. Latest EOBI Jobs 2017 are announced today from BS-20 to BS-02 and a complete list of vacant positions can be examined from below. Candidates from all over Pakistan having valid domicile are welcome to apply but there are some requirements which are compulsory to be fulfilled by every candidate such as they should have qualification from CA, ACMA, FICS, LLB, MBA, Masters, B.Com, Graduation, Intermediate, Matric with relevant diplomas and experience as per the demand of vacant positions. So, all those candidates who fulfill the criteria should apply as per the following how to apply procedure given below. 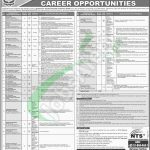 Application form and online deposit slip can be downloaded from the official site www.nts.org.pk or from www.JobsAlert.pk. Duly filled application form along with paid deposit slip of test fee Rs. 325/- in favor of NTS and all other documents should reach the following address given below. 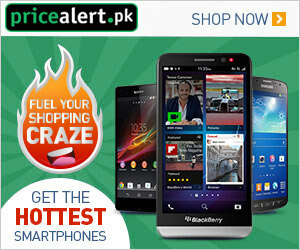 Test fee can be paid in any online branch of ABL, Meezan, MCB & HBL. Applications for must reach NTS Headquarter 1-E, Street No. 46, Sector I-8/2, Islamabad. The last date for submission of application is July 10, 2017. Incomplete applications or applications received after the close of office hours on the last date for submission of application will not be entertained. Already serving candidates are advised to apply through proper channel. For a further query about NTS Test Date / Roll Number / Test Center keep visiting our site JobsAlert.pk. Address: NTS Headquarter 1-E, Street No. 46, Sector I-8/2, Islamabad.